PSMA imaging – What's New in GU? Weill Cornell’s Dr. Scott Tagawa presented updated results of PSMA imaging in 4 phase I and II clinical trials at the recent annual meeting of the American Association of for Cancer Research (AACR) in Washington, DC. The trials presented were performed at Weill-Cornell Medical College, New York Presbyterian Hospital and Memorial Sloan-Kettering Cancer Center. The trials investigated the antitumor activity and safety profile of the experimental drug ATL101. The 4 trials involved patients treated with ATL101 and demonstrated that PSMA imaging might be used to predict response to ATL101 radioimmunotherapy in metastatic castrate-resistant prostate cancer patients. 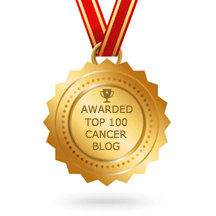 ATL101 is a new targeted radiotherapy experimental drug for treating prostate cancer. ATL101 combines the humanized J591 monoclonal antibody targeting prostate-specific membrane antigen (PSMA) plus the Lutetium-177 radioisotope, creating the first tumor-specific delivery system able to target radiation to radio-sensitive prostate cancer cells wherever they are in the body. PSMA is the single most well-validated prostate cancer-specific cell membrane antigen known. It is present at high levels in 95% of prostate cancers, and it is rapidly internalized leading to accumulation of significant amounts of isotopes that can be linked to the J591 antibody. Humanized J591 monoclonal antibody has shown the ability, in several hundred patients studied to date, to exclusively target prostate cancer cells wherever they are in the body without targeting normal cells. Lutetium-177 is a radioisotope that, once internalized into the cell, is irreversibly sequestered within the targeted tumor cell. It emits radiation over a millimetre range that is ideal for eradication of the small volume lesions commonly found in the bone marrow and lymph nodes of prostate cancer patients. ATL101 is actively studied at Weill-Cornell Medical College/New York-Presbyterian Hospital in Phase I trials evaluating fractionated administration andcombination with docetaxel. In addition, a randomized, multi-centre Phase II trial of ATL-101 in patients who have relapsed following surgery and/or radiation therapy and hormonal therapy but who do not yet have demonstrable metastatic disease is ongoing at several clinical sites in the USA. Click here to read a press release summarizing the updated results presented by Dr. Tagawa.